According to Colliers International, the Gold Coast industrial market is hot with local investors and owner occupiers competing for property ranging from $200,000 to $6 million. Since January this year, Colliers International industrial team has transacted in excess of $20 million worth of industrial property on the Gold Coast with $10 million currently under contract or negotiation. 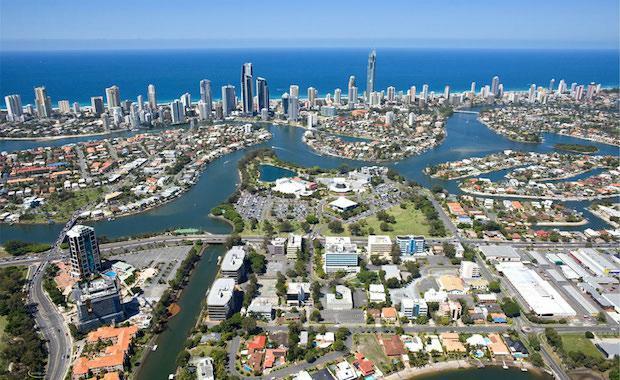 Pat Cavanagh, Director of Industrial at Colliers International said the properties in demand range from small 200 square metre to large 25,000 square metre facilities and are mostly attracting Gold Coast based owner occupiers and investors. “Unlike 12 months ago, vendors in the current market are listing properties and getting desired outcomes as the buyer pool increases. An example of this is an industrial facility in Helensvale which recently sold at the Colliers International auction event for $530,000 with 7.9 per cent return and a four year lease term," said Mr Cavanagh. Colliers International have identified the Gold Coast industrial hotspots as the southern regions of Tweed, Burleigh Heads and Currumbin, central suburbs of Molendinar, Ashmore and Nerang and the northern suburbs of Arundel, Helensvale and Yatala. According to Colliers International, the market has turned the corner since the last quarter of 2013 with Gold Coast experiencing a new wave of confidence, particularly since the federal election. In addition to this, the Gold Coast City Council has put initiatives in place in the last 12 months to kick start construction, fast track change of use applications and create economic benefits for businesses to attract them into the region. “This along with stable low interest rate environment, significant infrastructure spending, improved tourism, foreign investment and development opportunities all have had a positive flow on effect on the industrial service and supplier industries. “On the Gold Coast investors and developers are chasing passive industrial properties as well as redevelopment sites with upside, whilst owner occupiers are emerging as serious players again and will generally outbid investors. Of the $30 million worth of industrial properties sold or under contract by our office, over fifty percent has been to local owner occupiers," Mr Cavanagh said.